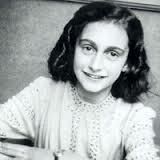 Teenage Holocaust diarist Anne Frank (1929-1945) is the single best-known individual victim of the Nazi genocide. Her experiences, and those of her family, also figure into the history of America’s response to the Holocaust. Documents discovered by the staff of the YIVO Institute for Jewish Research, in New York City in 2007, revealed that Anne’s father, Otto Frank, repeatedly sought permission to bring the family to the United States. In the aftermath of the Nazis’ rise to power, the Franks left their native Germany and moved to the neighboring Netherlands in 1934. The Franks did, however, have reason to feel more optimistic than most that they could gain admission to the United States. Otto had already lived in the U.S. from 1909 to 1911, working as intern at Macy’s Department Store, in New York City. In addition, two of Anne’s uncles lived in Massachusetts. In theory, such connections could have facilitated their immigration, by demonstrating that Otto would likely be able to earn a living in the United States. Nonetheless, their application was denied in 1941, even though less than half of the quota for German-born immigrants was used that year.